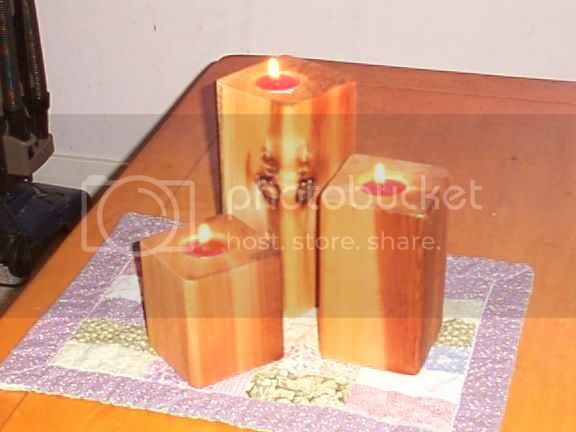 Cedar block candle holders. These smell great! I just took a 6X6 of cedar (next time I will use something a bit smaller) carved a 3/4 inch hole in them (perfect for a tealight), sanded them, and sealed them with linseed oil. They are beautiful and look wonderful. 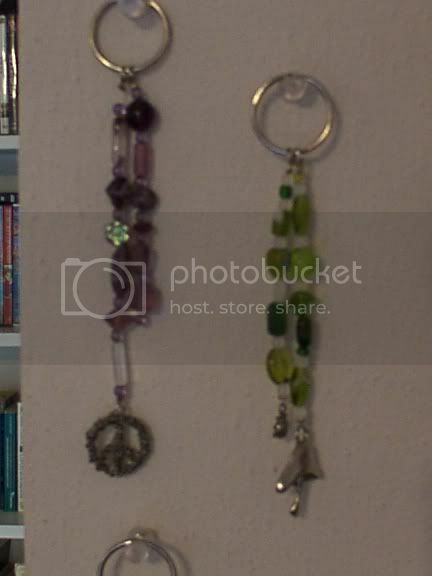 Beaded key chains... these took some doing. They are stunning! But wern't very sturdy until I used 40lb fishing line... which did stop me from using some of the tiny beads I had in the first set, but they didn't break. Which was good. And they looked so beautiful! I had them all displayed on this part of my wall for a while... they were stunning!